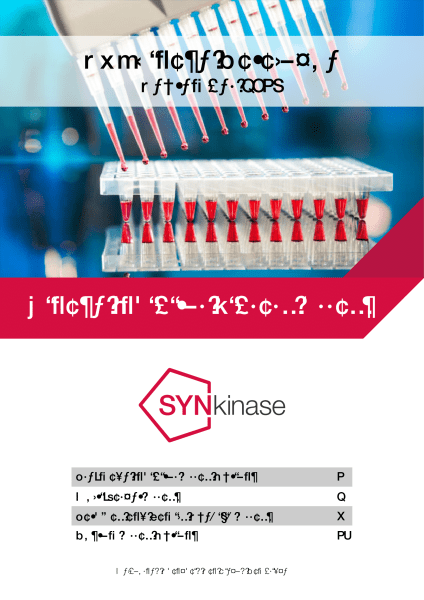 This SYNkinase catalog features high quality, research relevant kinase inhibitor library arrays. Topics include pre-made inhibitor array options, multi-target arrays, pathway and family specific arrays. Released September 2014. SYNkinase is an original manufacturer of unique, potent and research-relevant inhibitors directed against specific protein serine/threonine kinases (PS/TKs), protein tyrosine kinases (PTK & RTK), lipid kinases and many other targets. 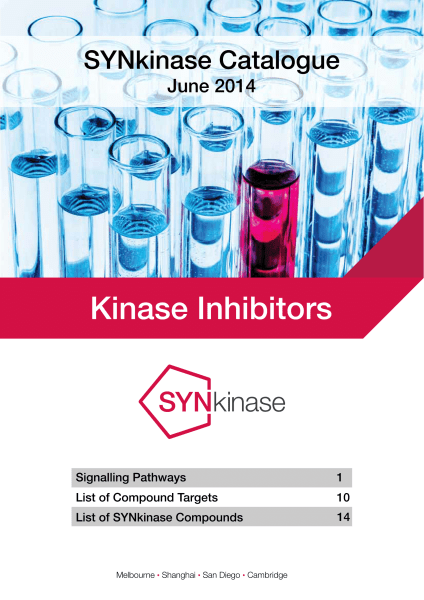 In this catalog you will find signalling pathways, a list of compound targets and a list of SYNkinase compounds. Released June 2014.